Growing up there wasn’t many devotional books for kids let alone toddlers. Now a days they have books for all ages. There’s of course adult books, teen books, and now toddler and baby books to teach them about God and Jesus. 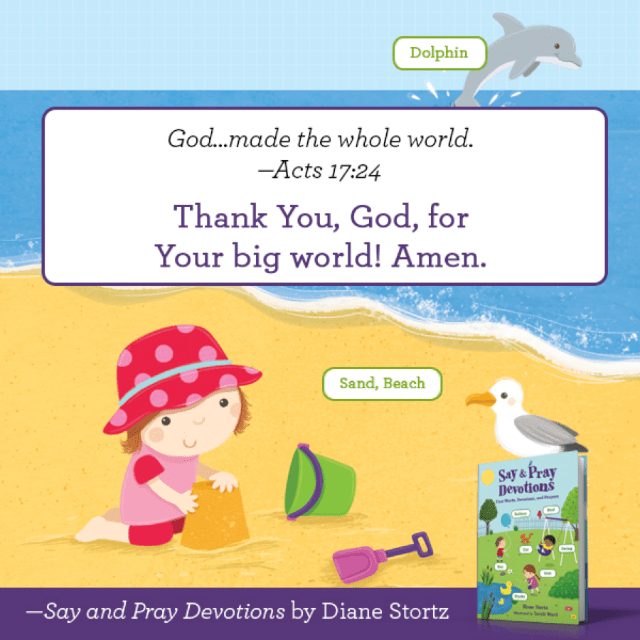 Which brings me to our review for today, Say & Pray Devotions: First Words, Devotions, and Prayers. 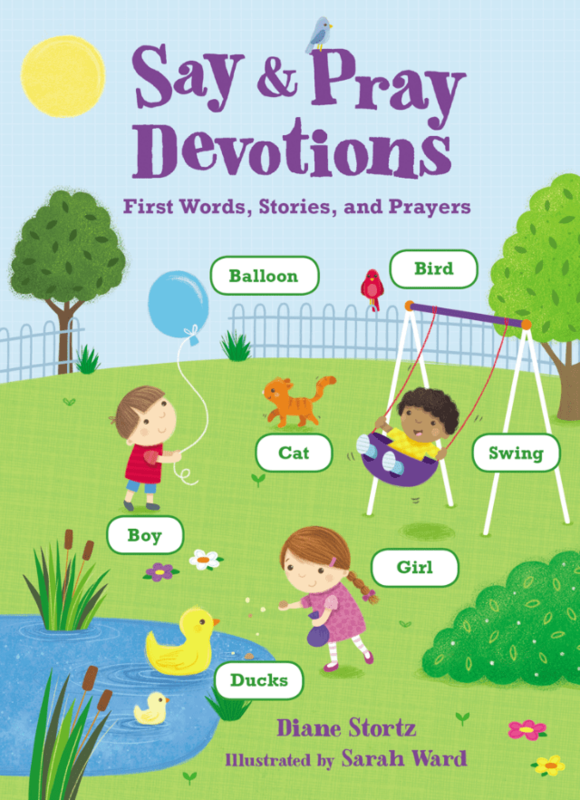 This book is so cute, it’s not only a devotional it also names the different objects in the scenes. So not only are they learning about God, they are also learning about what things are called. It is a board book, so it will protect against sticky hands (easy to clean) and those little ones that have to taste everything they touch. There are 20 pages of devotions, each having a different scene and/or situation. Whether it’s saying a prayer at dinner time or praying over family and friends. This book is like a two-for-one, you have the devotions and then you have pictures of objects, like a duck, they see the duck and then they see the word. I don’t think they left anything out! My boys are too old to give their opinion on this book, so I used my mommy opinion, if I had a baby again would I get this for them, and the answer is yes! We like to teach our kids young about God’s love for us. HIS kindness and how everyone is loved. “Disclosure (in accordance with the FTC’s 16 CFR, Part 255: “Guides Concerning the Use of Endorsements and Testimonials in Advertising”): Many thanks to Propeller Consulting, LLC.